Majority of population of Indian state Odisha belongs to the Hindu community, as these Hindu people are very religious in nature. Throughout the year many religious activates are carried out in different religious points of Odisha, so for Religious Tours in Odisha thousands of from different states of India as well as from foreign countries visit and participate. 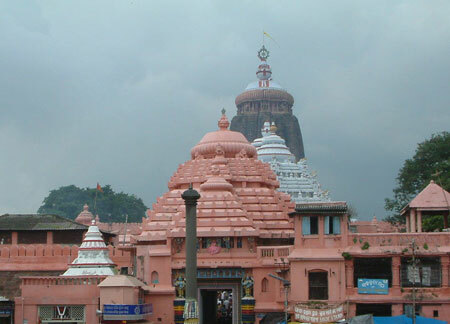 Best Religious Tour Packages in Odisha are available by Odisha Tourism in which tourist gets comfortable accommodation, food and transportation facility along with that chance to participate in religious festivals of Odisha. After arrival at Bhubaneswar Airport / Railway Station, pick up, check-in hotel, relax, half day sightseeing tour of Khandagiri & Udayagiri (The famous rock-cut caves Hatigumpha and wonderful sculptures in Ranigumpha built by Mahameghavahana Aira Kharavela), Jain Temple, overnight at Bhubaneswar hotel. Take your breakfast, check out from the hotel and proceed to Konark, Enroute visit Dhauli, 64 yogini temple, Pipili, latter proceed to Konark and visit Konark Sun Temple (The world heritage site and also known as the black pagoda).The Temple is an example of Orissan architecture of Ganga dynasty, Chandrabhaga beach, enjoy “Sun Set” at Chandrabhaga beach, check in hotel and overnight at Konark hotel. Early morning take Bath in Chandrabhaga and Darshan “Sun Rise” after breakfast, check out from hotel, proceed to Puri on the way visit Ramchandi Temple, Chhaitana Stone Carving Village, on arrival check in hotel at Puri in evening visit world famous Jagannath Temple by our Temple priest, free time enjoy at golden sea beach and beach market. Overnight at Puri hotel. Take your breakfast, proceed to Satapada Enroute visit Alarnath Temple, latter proceed Satapada (Chilika Lake – The Largest Salt Water lake of Asia, It spreads over 1100 Square K.M ), enjoy the boat Cruise at Chilika lake & see “Irrawaddy Dolphins” and “Sea Mouth” (Meeting point of lake & sea, name as Chilika’s island). Back to Puri enjoy at golden sea beach and free time shopping at Local market, overnight at Puri hotel. Take your breakfast, check out from the hotel, proceed to Gopalpur, Enroute visit SakhiGopal (Temple of Radhakrishna), Raghurajpur Artisan Village, latter proceed for Gopalpur, on arrival check-in hotel, after relax enjoy “SunSet” at Gopalpur Beach. Overnight at Gopalpur hotel. Take your breakfast, visit Chilika Lake, enjoy boat cruise at Chilika Lake and visit Kalijai Temple, Nalabana bird sanctuary, back to the hotel and overnight at Gopalpur hotel. Take your breakfast, check out from the hotel, and visit Tara Tarini Temple, latter drive to Bhubaneswar and overnight @ Bhubaneswar hotel.